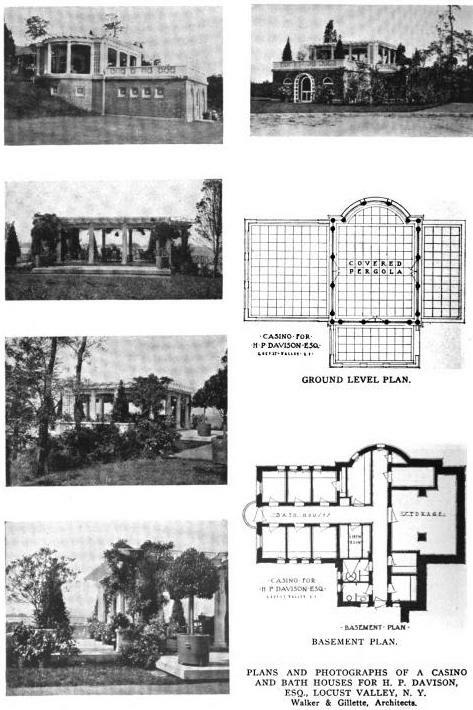 The ground plan to the casino on the estate of Henry P. Davison, designed by Walker & Gillette c. 1914 in Lattingtown. Click HERE for more on 'Peacock Point'. 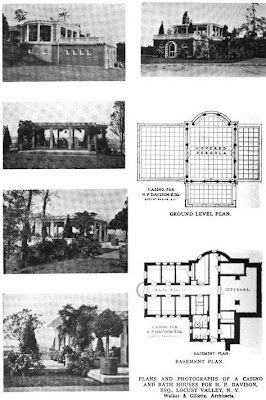 Picture from Architectural Record, 1914. Is it a residence now? I duno, it's still intact but the estate has been subdivided so maybe it's some sort of common feature for the people who live there. It did include a bathhouse.